Green Olive Tours is working in cooperation with the Holy Land Trust and Nonviolence International who are coordinating this winter tour to build upon the work of the Sumud Freedom Camp action this past summer in the South Hebron Hills. 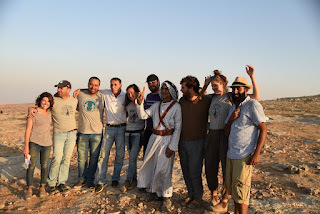 The Sumud Freedom Camp is a broad coalition of Palestinians, Israelis and internationals from The Popular Committee of the South Hebron Hills, Holy Land Trust, Combatants for Peace, All That’s Left: Anti-Occupation Collective, and the Center for Jewish Nonviolence. The camp calls for the end of the military occupation, the re-structuring of the legal regimes of oppression, and a creation of a space where justice and equality are universally recognized. 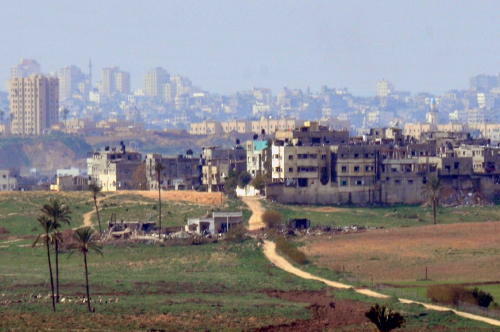 The coalition uses principles of nonviolent resistance to keep the communities of Sarura on their lands, utilizes direct nonviolent intervention against Israeli military forces and Israeli settlers who would use force on the camp, and leverages their broad networks to execute a robust advocacy strategy to challenge the legal regime. 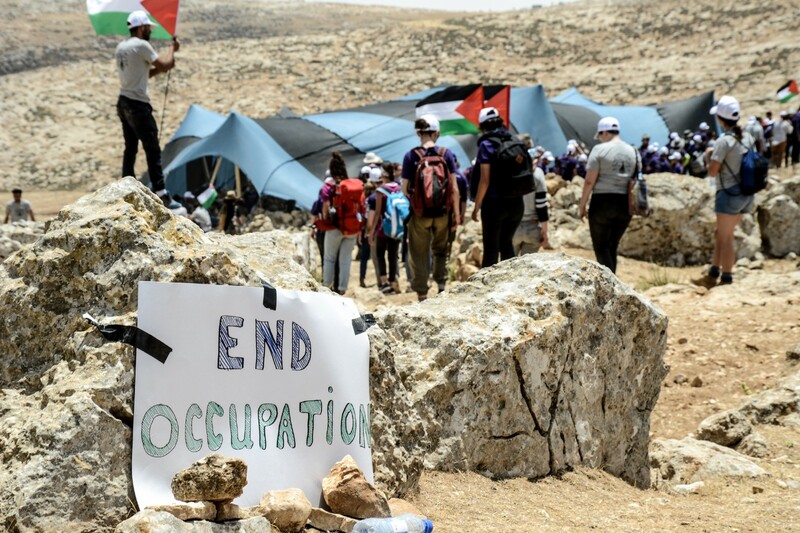 While Sarura was the starting point for the movement, the coalition addresses the immediate threats of oppression and violence across the South Hebron Hills. Introduction to the situation on the ground and an overview of the tangible forms of non-violent resistance to the occupation. It is important for participants to visit the site of the camp in order to create a physical connection to the phenomena they will encounter throughout the tour. You'll visit The Society of Saint Yves Catholic Center for Human Rights and learn about their work fighting for human rights in Israel and Palestine. They focus on a number of issues, from house demolitions and land confiscation to freedom of movement and family unification. The organization strives to provide legal aid to those in need and promotes human and civil rights. Participants will see the realities on the ground regarding the separation wall’s route and its impact on the local communities it affects, particularly the targeted Palestinian refugee camps. Geopolitics is central to the land issue (which represents a large part of the conflict in general), so it is essential for participants to have a guided tour around the wall area. Unpacking Israel’s narrative of ‘security’ demonstrates that the wall and checkpoints are an integral component for Israel’s economy and rely on the exploitation of cheap Palestinian labor. This stop will provide an opportunity to see a separation barrier in operation, whereby the oppressor exploits the oppressed through restrictions on freedom of movement. 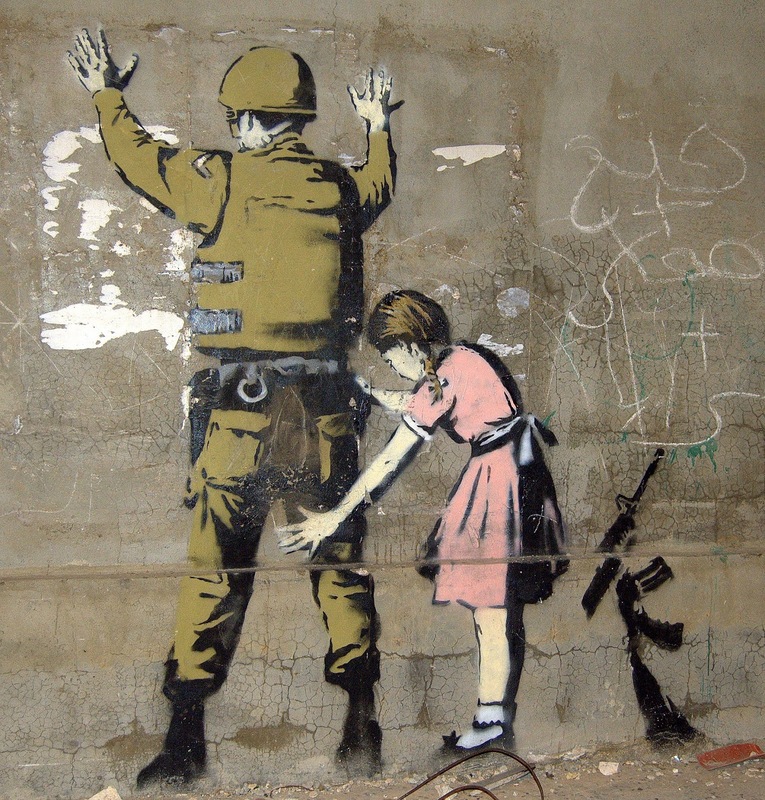 Established in 1950, Aida Refugee Camp is situated between Bethlehem, Beit Jala, and Jerusalem. Regular incursions into the camp by the Israeli military have made conditions difficult for those living there, compounded by the lack of medical or educational facilities. Participants will also be shown the ways in which refugees have had to adapt to their new reality after being displaced from their land in the 1948 Nakba. The Lajee (“refugee” in Arabic) Center is situated in the Aida refugee camp, and was founded by young people from the camp. The organization’s main aim is to equip young people from the camp with life skills they would otherwise lack. By observing the problems that the Lajee Center addresses and the solutions they work towards, participants can decide what aspects of this effort can be reproduced in their own communities where youth may have limited creative opportunities or limited access to engagement in civil society. The Church has significance far beyond being a spiritual bastion of hope. To this day, it serves as not only as a site of religious importance but as the intersection of justice and culture. It has served as a stronghold for Palestinians wanted by the Israelis during the second Intifada and thus has connotations of resistance to Israeli oppression for Muslims and Christians alike. Exact events have not yet been announced, but the delegation will be observing different festivities in Bethlehem. This is the region where it is believed that the angels appeared to the shepherds announcing Jesus’ birth. While the exact site is disputed, there are a number of churches and shrines in the area from different Christian denominations. Other events TBA; the delegation will still be in Bethlehem on this day. The Hebron Defense Committee is a grassroots organization which engages in nonviolent activism in order to promote Palestinian rights in the H1 and H2 areas of Hebron and to bring international attention to the situation in Hebron. Hebron represents in many ways a microcosm of the occupation. As the only Palestinian city in the West Bank that has an Israeli settlement directly within the city, participants will see all of the elements of the occupation: separate streets, Israeli military checkpoints, and settlement expansion. It is possible to gain greater insight here into the challenges Palestinians face in Hebron regarding displacement and movement, as well as the importance of Hebron in current political affairs. This visit is important as participants will meet Palestinians frustrated by the daily constraints placed upon them by the occupation in Hebron. Alongside the many stories of oppression and violence there are even more of daily injustices and humiliations, never reported, and all too often simply forgotten. Geopolitical tour with Israeli Committee Against House Demolition (ICAHD). ICAHD is a nonviolent direct action group established to oppose and resist the Israeli demolition of Palestinian houses in the Occupied Territory. Combatants for Peace is an extraordinary organization that takes former combatants from both sides (Palestinian militants and Israeli Defence Force soldiers) and organizes cooperative talks on the importance of nonviolence as a means to bring an end to the conflict. Participants will hear the stories of former combatants and how their perspective has changed since giving up violence and focusing on dialogue and peaceful organization. A visit with the Palestinian Negotiation Unit will unpack the political context and motivations of the various actors involved in the peace process and an analysis of moving forward. Meeting with Al-Haq Center for Human Rights. The organisation works with the European Union and United Nations and has special consultative status with the United Nations’ Economic and Social Council. It works to document and bring to international attention the various violations of Palestinian rights by Israel in the Occupied Palestinian Territories. Al-Haq is a member of the Euro-Mediterranean Human Rights Network (EMHRN), the World Organization Against Torture (OMCT), the International Federation for Human Rights (FIDH), Habitat International Coalition (HIC), and the Palestinian NGO Network (PNGO). Participants will discover how the goals of this organization intersect with movements they are involved in back home, how they can make use of these global channels, and how activism on returning to their own countries can advance different movements and ideas. A visit to the Student Council of Birzeit University reveals how this elected body seeks to promote the interests of students within Birzeit University. Meeting with the student council will give participants an opportunity to hear how the occupation has affected students on a personal level, as well as university life and what measures have been taken to adapt to studying under the occupation. The day in Haifa meeting with these two organisations will give participants a better understanding of the struggles for equal rights for Palestinians who hold Israeli citizenship and the different legal frameworks that deny them equality in Israel. A visit to the Mossawa Center and Adalah in Haifa is essential to understanding how oppression varies throughout Israel-Palestine and presents serious questions about whether the State of Israel is operating an apartheid regime. The Mossawa Center strives to achieve legal justice for the Palestinian Arab citizens of Israel. Palestinian citizens are treated unequally across Israel’s legal system, rendering them second class citizens in relation to Israel’s Jewish majority. Adalah (“Justice” in Arabic) is a human rights organization and legal center that was established in November 1996. Its main focus is to promote and defend the rights of Palestinian Arab citizens of Israel — a total of 1.2 million people, or 20% of the population — as well as Palestinians living in the Occupied Palestinian Territories. Meet with Jonathan Cook, an award-winning British journalist who has been based in Nazareth since 2001. He has written several of his own books, as well as contributed chapters and essays to works on Palestine and Israel. As the only foreign correspondent in Nazareth — the capital of the Palestinian minority within Israel — Cook is able to provide useful insights about the interrelated struggles Palestinians face inside of Israel in relation to their counterparts in the Occupied Territories. 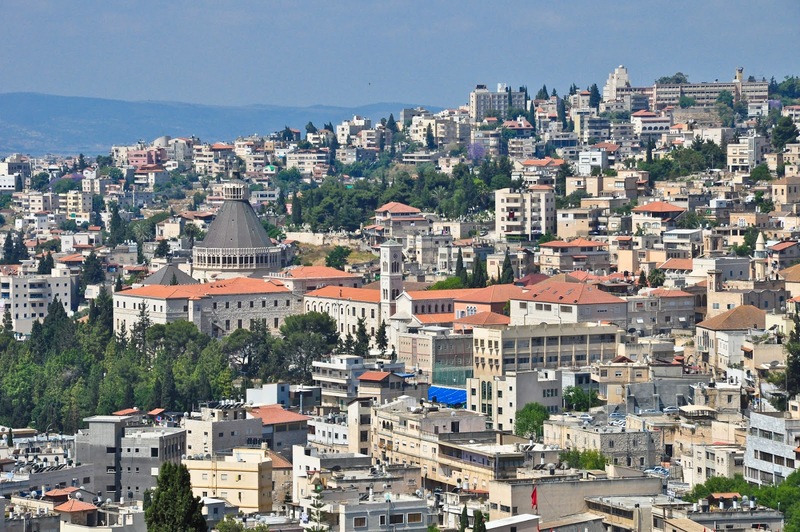 Participants will tour Nazareth and be able to explore the different forms of resistance used by Palestinians citizens of Israel through Cook’s perspective. Participants will reflect on the experience of the past two weeks. They will discuss what they have learned, how it relates to their own perspectives and struggles, and what tools and experiences they will take home with them. How will they use the knowledge and tools they have learned to broaden the reach of their own movements? How will they raise awareness in their communities about the occupation and what its implications are for the Palestinians living under it? What are new ways of moving forward in the efforts of coalition and solidarity building, and what are the next concrete steps to take? How do the goals of their own activism intersect with the goals of the movements they have met with over the past two weeks?